It’s amazing how many meetings and workshops one could attend around the county, state, or country. This week alone at only one of the two convention centers in Athens, Georgia, you could attend the Georgia Landfill Operator Certification Training, peek into the 33rd annual Marriage and Family Therapy Institute, or hang out with a bunch of Optometrists. Now, for beekeepers, you could venture to Galveston and spend four days at the North American Beekeeping Conference. 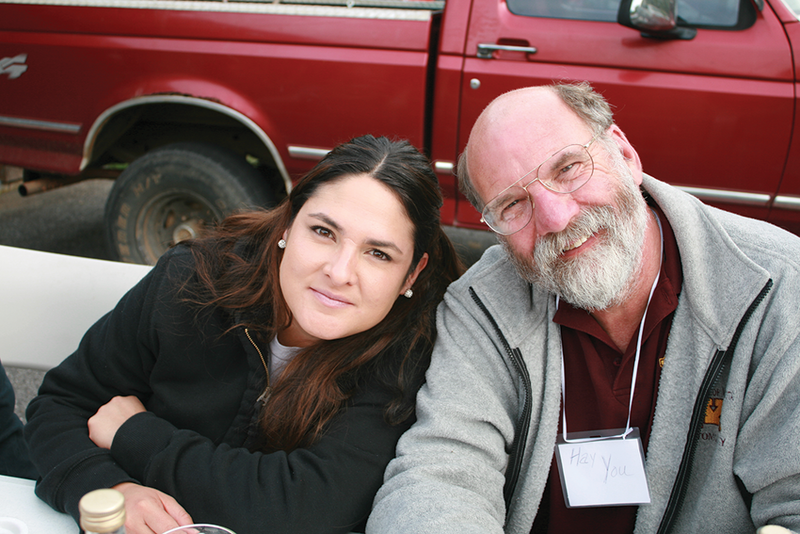 This Summer you could hang for a week at either the Eastern, Western, or Heartland Apicultural meetings. In one month, I could attend 39 local club meetings here in my state of Georgia. We also have two Georgia Beekeepers Association state meetings (one in Spring and one in Fall), plus at least six bee schools. Combined, that makes a yearly grand total of 478 bee meetings in the state of Georgia alone. WHAAATTTT!!!! Now add up all the thousands of clubs and their meetings across the U.S. – that makes for a LOT of gatherings about bees! Guess we humans love to be together, but more importantly, we love to get together and discuss what we are most passionate about: our bees. Over the years I’ve been to a few meetings, from the local clubs with maybe 15 folk to the larger conferences with 1000s. 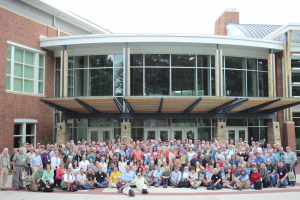 The one thing that all these groups have in common is they want to learn more about bees, mingle with other beekeepers, see or hear about the newest gadget, and talk about their experiences. Exciting, right? And probably a lot more exciting than hanging with a bunch of Optometrists (just kidding – love y’all). Some of these meetings are fantastic, and some not so much. I think what makes a meeting stand out, percolate to the surface, rise to the top – it’s the energy in the room. It can be with five people or 5,000 people. It’s not the size of the crowd that matters; again, it’s the energy in the room. And that energy usually stems from those putting on the show. And a show it is, whether a one-nighter or a week-long event, you’re experiencing a show. UGA/Young Harris Bee Institute founder, Dr. Keith Delaplane, left and Dr. Paul Arnold. Each year we put on a show. For the past 25 years, the University of Georgia Honey Bee Lab along with Young Harris College has been putting on the Beekeeping Institute, a show that I am partial to and one that has proven to be one of the best bee events for years in the Southeast. So, how did it all begin? 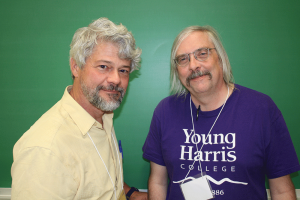 fresh to the Georgia scene, and Paul, a new faculty member at Young Harris College, both hit it off immediately. They started communicating about putting together a “beekeeping short course”. Delaplane’s predecessor, Dr. Al Dietz, had presented a short course for years at the UGA Bee Lab, located south of Athens. The short course was great, but the bee lab facility was small. It did not allow room for growth, and it was not as picturesque as the North Georgia Mountains. So, without much thought, they both decided to have the bee school on campus at Young Harris College. Shortly thereafter, Robert Brewer, Towns County Agent (since retired) was brought in to lend a hand. Now with a location and plenty of hands on deck, it was just a matter of putting together a curriculum. In 1992, Keith went to work. 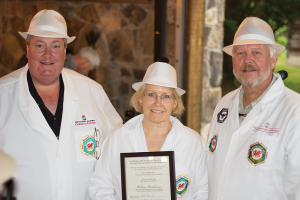 Apparently, the trio had the right recipe for success because 26 years later the UGA/Young Harris Beekeeping Institute is still going strong. It has become one of the most comprehensive and educational beekeeping events in the country. Why do I proudly say that it’s one of the best bee meetings? To begin with, it’s location, location, location. 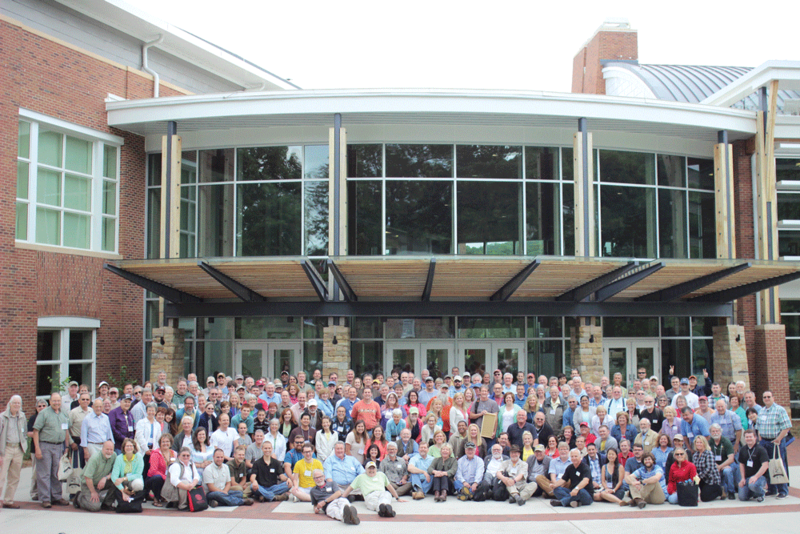 Our meeting is held in the small, not-tiny town of Young Harris, on a campus tucked in the Blue Ridge Mountains of Northern Georgia. The facilities are conveniently located, modern with room for vendors and their very own cafeteria stocked with a soft-serve ice cream machine, with sprinkles, hello!!! The area has great food venues, lodging and scenic views. Next we invite only top notched researchers and beekeepers who are not only good on their feet but have interesting and important information to share. 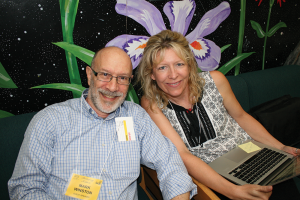 For instance in 2014 Dr. Marla Spivak, a MacArthur Fellow and distinguished McKnight Professor from the University of Minnesota, gave amazing lectures about honey bee social immunity and predictors for colony survivorship. Two years prior Dr. Tom Seeley, Professor of Neurobiology and Behavior at Cornell University and award-winning author, talked about his amazing research and experiences with honey bees in the wild. 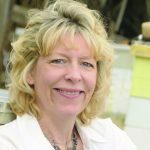 Dr. Mark Winston, Maryann Frazier, Dr. Dennis vanEngelsdorp and Dr. Jim Tew are just a few more examples of the stellar presenters that have graced us with their marvelous research and beekeeping knowledge. Juliana Rangel and Gary Reuter taking a break. We also bring folks occasionally from across the pond, which have been a huge hit. Dr. Yves Le Conte director of the Research Unit for Bees and the Environment, in Avignon, France, Dr. Giles Budge research coordinator for the National Bee Unit at the Food and Environment Research Agency in York, England and Michael Young founder of the Institute of Northern Ireland Beekeeping, Senior British Honey Judge, international chef and inspiration for our own Welsh Honey Certification program. Mark Winston and Jennifer Berry take a break. Then we have the local favorites, which over the years have been very instrumental in making the bee institute world class. There’s Keith Fielder (who has taken over Robert Brewer’s duties), Carl & Virginia Webb, PN & Evelyn Williams, Bill Owens, Bob Binnie, Dan Harris, Will Montgomery, Cindy Bee, Lonnie Funderburg, Jim Quick, Cindy Hodges, Phillip Quinn, Nicholas Weaver, Brett Nolan, Damon Wallace, Cyndi Ball, Will Dix, Amy Weeks, Michael Steinkamp, Tom Rearick, Kim Bailey, and Mary Cahill-Roberts. With nationally known speakers and these locally talented beekeepers, the institute offers an array of interesting topics and expertise. Our programs are always geared to bring to the students not only the cutting edge research, but practical beekeeping information that they can take home and apply in their own apiary. 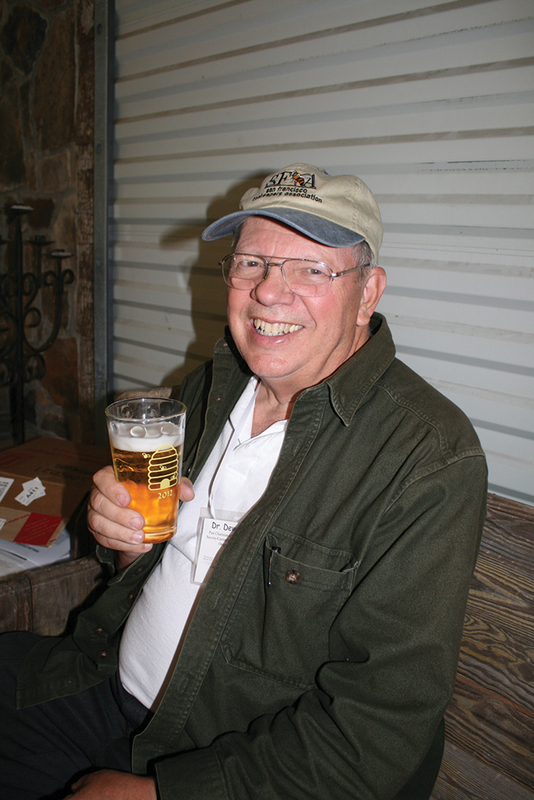 Dewey Caron enjoying a cold beer after a long day of lecturing. practical portion for the Certified and Journeyman as well. This program not only offers the students the training but also the confidence and material to teach others about bees and beekeeping. As my boss puts it, “The Georgia Master Beekeeper Program gives its participants not only the opportunity to learn, but also a sense of responsibility to teach others about the miraculous honey bee, the enjoyment of beekeeping, our shared dependence on pollination, a concern for the overuse of pesticides & shrinking forage-habitat in our environment, and the techniques of honey production & distribution.” As a side note, we have also passed 47 inmates at the level of Certified Beekeepers in three of our state’s maximum-security prisons. The Georgia Master Beekeeping Program is a win:win for all involved, especially the bees. Bondurant as a new Welsh Honey Judge. We also offer the Welsh Honey Judge Licensing program which originated at the UGA/Young Harris Beekeeping Institute in 2001 when Michael Young, Welsh Honey Judge, visited from the UK. He was instrumental in partnering the Welsh Honey Judging system with the US. The program offers training and certification for honey show judges at the highest standard. The Welsh training is the most stringent of its kind for aspiring honey judges in the world. UGA and the University of Florida have the only two partnerships of their kind between the US and the UK. For our 25th anniversary, we expanded the Institute to four days with training for the Master Beekeeping Program and Welsh Honey Judge training on Wednesday and the institute proper Thursday thru Saturday. Plus we’ve increased the number of attendees, without sacrificing quality. We did this for two reasons. One we moved across the street to the newly built Rollins Campus Center, which offered plenty more space. And two, we wanted to offer more seats for eager participants since each year we were selling out within weeks of registration opening. 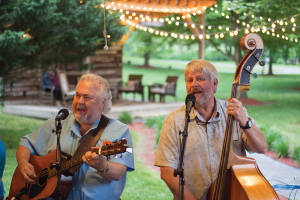 Blue grass musicians entertaining the crowd. And if you order in the next few minutes – our Institute is also known for its comradery and socials. It’s important for participants to not only have full days of “schooling” but also have time to talk with folks and to make new friends. Friday nights we set aside for a traditional low country boil where we stuff ourselves with shrimp, sausage, corn, and potatoes, and wash it down with a local variety of beer. 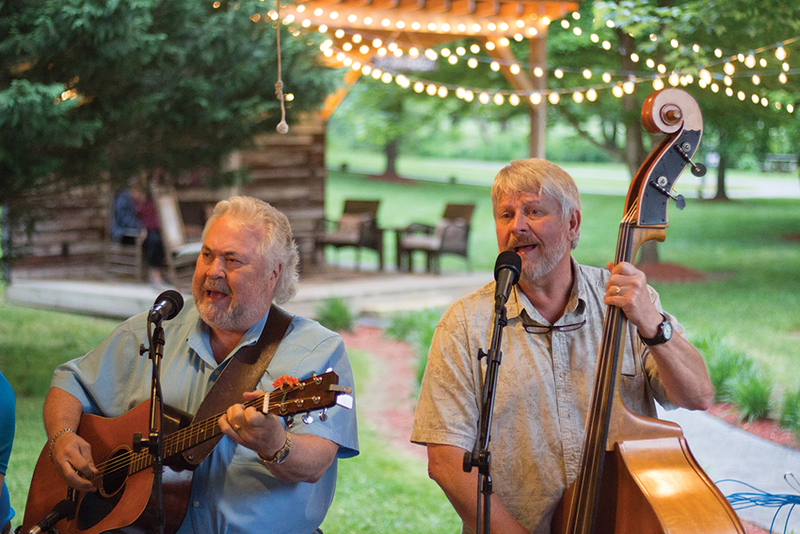 We also like to include some of Georgia’s finest musicians to play during the event. Like my grandfather used to say while organizing our annual family reunion, “To have a good show, you must have good food, good booze, and good music.” And I will say, my grandfather knew how to put on an excellent reunion. We consider our beekeeping institute to be the Harvard of Bee Schools and we will continue, hopefully, for years down the road to provide excellent education and fun to beekeepers from all ages, all walks of life and all areas around the world. If you are interested in attending our event, or want more information, please go to our website http://www.ent.uga.edu/bees and click on the Young Harris Beekeeping tab. This year registration opens the first week of March. Hope to see you there. Take care of you and your bees! 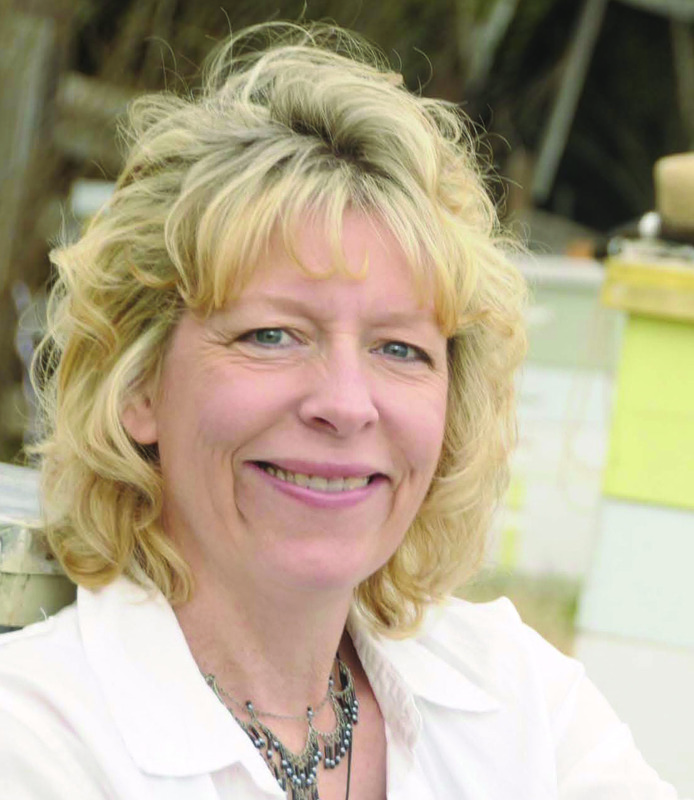 Jennifer Berry is the Research Leader at the UGA Bee Lab and beekeeper and queen producer. 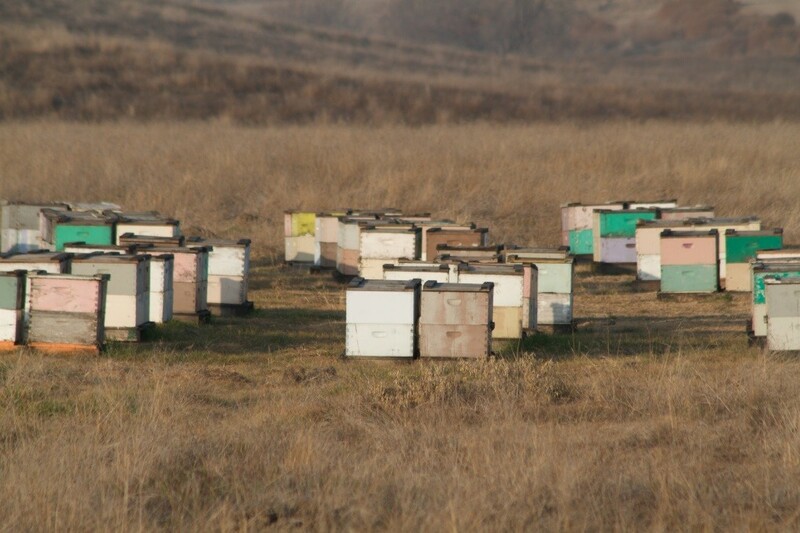 CATCH THE BUZZ – The Los Angeles Times reports Pavel Tveretinov, a 51-year-old beekeeper from Sacramento, CA, was arrested on suspicion of possessing nearly $1 million worth of stolen hives.